With a wide range of appliances and facilities, recreational vehicles provide their occupants with a high level of comfort. 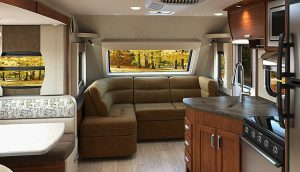 Nonetheless, the default configuration of the RV interior is not always able to fully satisfy its user needs and requirements. 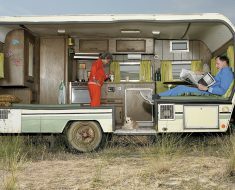 Usually, RVers have to re-outfit the inside of the RV which is not exactly an easy job for novices. 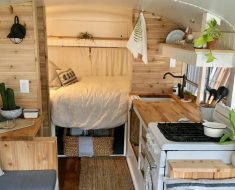 In the case you are looking for tips and tricks to improve your RV interior, this article is for you. 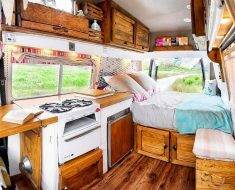 Down below are 10 cheap RV interior improvements for recreational vehicles that everyone could apply easily and effortlessly in no time. 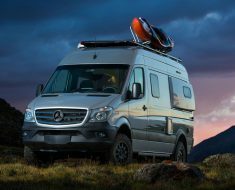 Check them out and see if there is anything you could use to enhance your experience with your recreational vehicle. 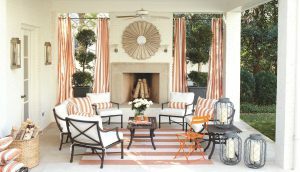 In an outfitting project, being flexible is the key to success so you don’t act rigidly and ready to improvise. RV layout and structure arrangement varies greatly from one to the other, the same can be said about people preferences. Feel free to make changes as long as they are needed, it’s your vehicle after all so don’t hold back. In the usual case, modern-day recreational vehicles often have two doors: a main hatch door and a screen door. Because the RV screen door tends to come without a handle, to open it in stormy weather is quite difficult. For most of the time, violent winds would simply yank the door out of your hand and throw it around. By installing a horizontal handle, you would be able to have a good grip on the door at all times. You could get one from Amazon, eBay or stores that specialized in RV goods, the handle price is rather cheap. The handle has another application as well, you could use it to hang dishtowels and rags and let them dry. Compare to traditional lamps, LED bulbs offer better illumination and save energy when you are in the middle of nowhere. 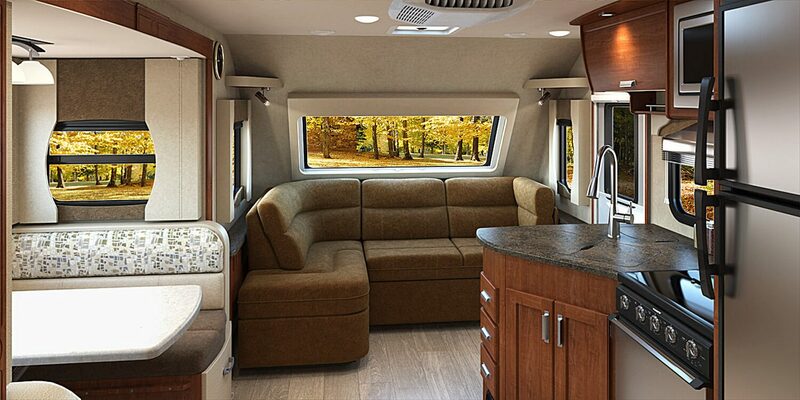 They possess long lifespan, have tough connectors and considerably improve the lighting of your RV interior when things get dark. There is a wide range of product for you to choose and most of them suit well with Rver pocket. It’s recommended that you go after LED bulbs with a color temperature around 3200 Kelvin which got fairly warm best flashlights. 3200 K products also come very close to classic incandescent lamps so they are a good choice for RV use. Don’t bother buying cheap LED bulbs though because they usually have rather uncomfortable bluish lights or simply not bright enough. To get the most out of the RV limited interior space, grab some racks and screw them into the wall. They would provide the vehicle occupants with places to leave keys, mails, sunglasses, travel flyers, shower supplies and so on. You could get quality racks for roughly $10 each so they are an economical way to increase your comfort level. Temperature and moisture could negatively impact your family comfort inside the vehicle if you can’t come up with a solution. Well, all you need here is constant air flow and setting powerful vent fans at strategic locations would accomplish that. With low ampere requirement, vent fans should keep the interior atmosphere acceptable at all times while expelling smoke, odor, etc. When the vehicle is in motion, it’s hard to find a stable place to place your beverage cup/can/bottle. Should you hate seeing your drink pour all over the place then you should set up some cup holders. In the age of digital, certain manufacturers still prefer to outfit their products with manual slider thermostat which is unacceptable. If your RV runs into the same issue then you should install a digital thermostat to achieve precise temperature control. To cut down unit cost, RV manufacturers often install a weak and low-pressure showerhead in their vehicles. Therefore, you should replace the default showerhead with enhanced products from brands like Oxygenics as soon as possible. Modern technologies come with modern problems and one of them is the limited range of the Wifi signal. By having a quality Wifi signal booster around, you could comfortably access the Internet anywhere inside your RV without fail. 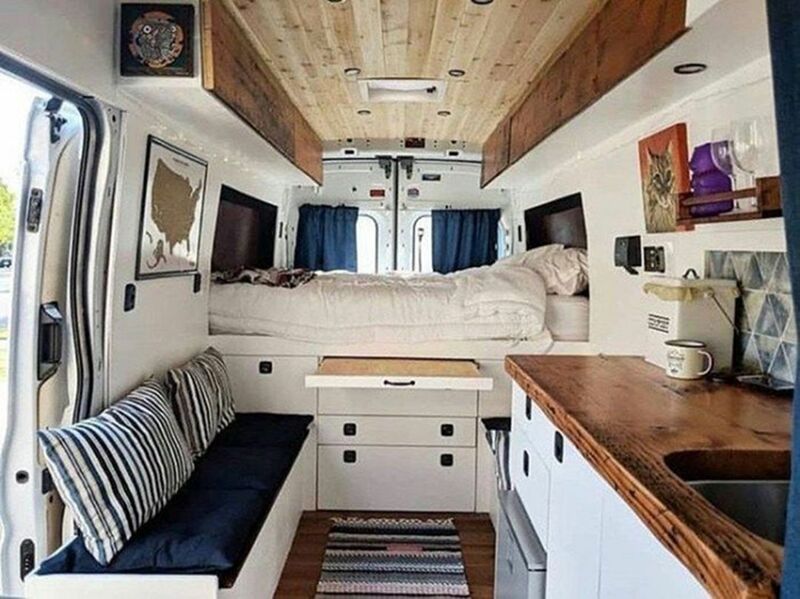 This is one of useful Rv interior improvements people usually apply. For a small price, you could substantially enhance the quality of the RV propane system and reduce its operating expense. A good product should cost you less than $100 which is totally acceptable given the increase in gas system performance. As you already know, the RV interior is not exactly spacious so you have to keep your stuff well organized. The last thing you want to experience is to pull out everything in order to look for one particular item. 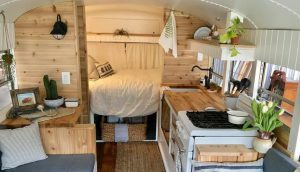 A compact storage cabinet would help you avoid getting into such predicament and it’s not too expensive to the average RVer. With a compact storage cabinet by your side, you no longer have to worry losing small sized accessories and supplies. It’s able to accommodate a variety of items like battery chargers, medicine bottles, office goods, sewing kits and many more. You do need to take into account the available space left inside your vehicle before heading to the store though. 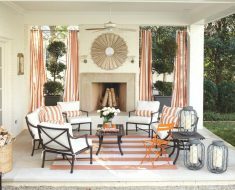 There are many cabinet designs and material choices you could get but you must remember to prioritize durability and mobility. Buying flimsy and fragile products which could barely last for a couple of months is just a waste of money. And you have little need for heavy duty cabinets due to their formidable size and weight plus they are expensive. 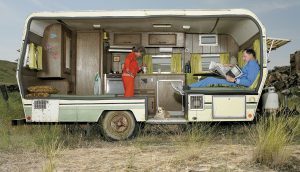 And those are 10 cheap Rv interior improvements for recreational vehicles, see anything you could use? The transition to the RV life could be a tricky phase with lots of questions and faculties at every corner. 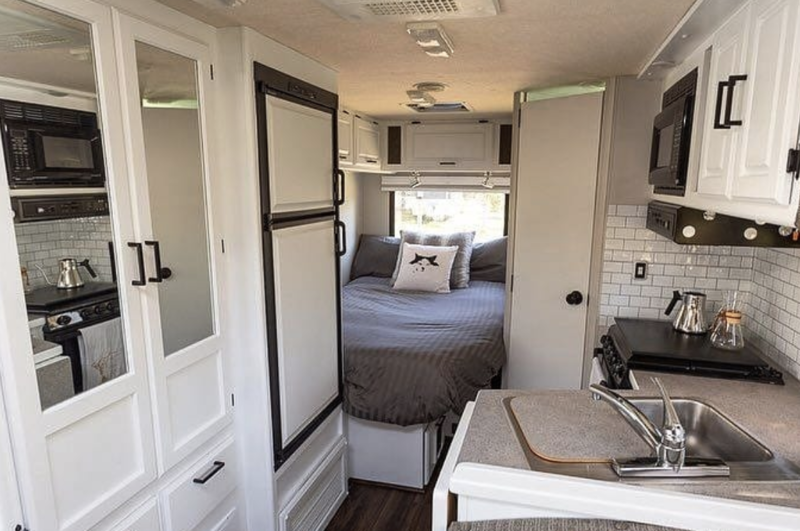 But as long as you could customize the RV interior to match individual preferences then you have nothing to worry.